Who you might ask is VICTOR MARTINEZ and what makes him so special?! 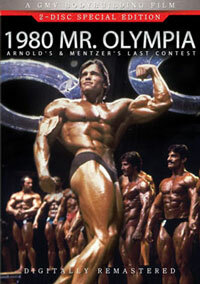 At the 2005 Mr Olympia Ronnie Coleman anointed Victor as his probable successor as Mr Olympia. Now is your chance to see why Ronnie knows Victor is so special. 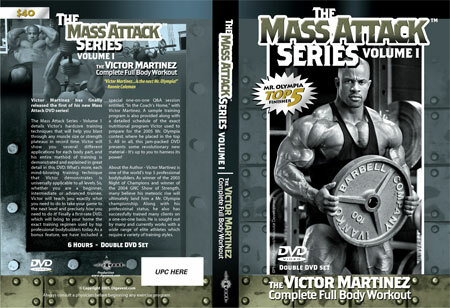 Victor Martinez has finally released the first of his new Mass Attack DVD series! 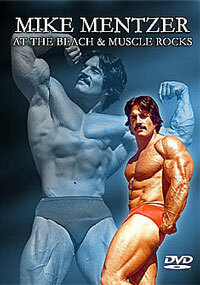 The Mass Attack Series - Volume 1 details Victor's novel training techniques that will help you blast through any muscle size or strength plateau in record time. 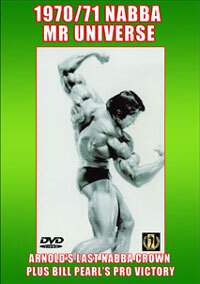 Victor will show you several different applications for each bodypart and his method of training is discussed, demonstrated and explained in this DVD. Furthermore, all of Victor's techniques that he demonstrates are applicable for all levels. Thus whether you are a beginner, intermediate or advanced, Victor will teach you exactly what you need to do, and how you need to do it. 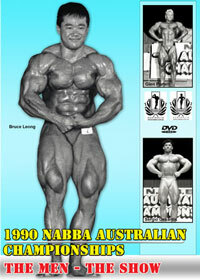 Finally, a DVD which will bring to your home the exact training regimen used by top professional bodybuilders today. As a bonus feature, we have included a special one-on-one Q&A session "in the coach's home" with Victor Martinez. 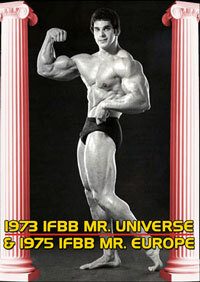 A sample training program is also given along with a detailed schedule of his nutritional program as he prepares for the Mr. Olympia title. All in all this DVD presents some revolutionary new material. It's up to you to harness its power! About the Author - Victor Martinez is a top professional competitive bodybuilder and winner of the 2003 Night of the Champions and also the 2004 GNC Show of Strength. Along with his professional status, he has successfully trained many clients on a one-on-one basis. He is sought out by many top athletes and currently works with a wide range of elite stars who require a variety of training styles.